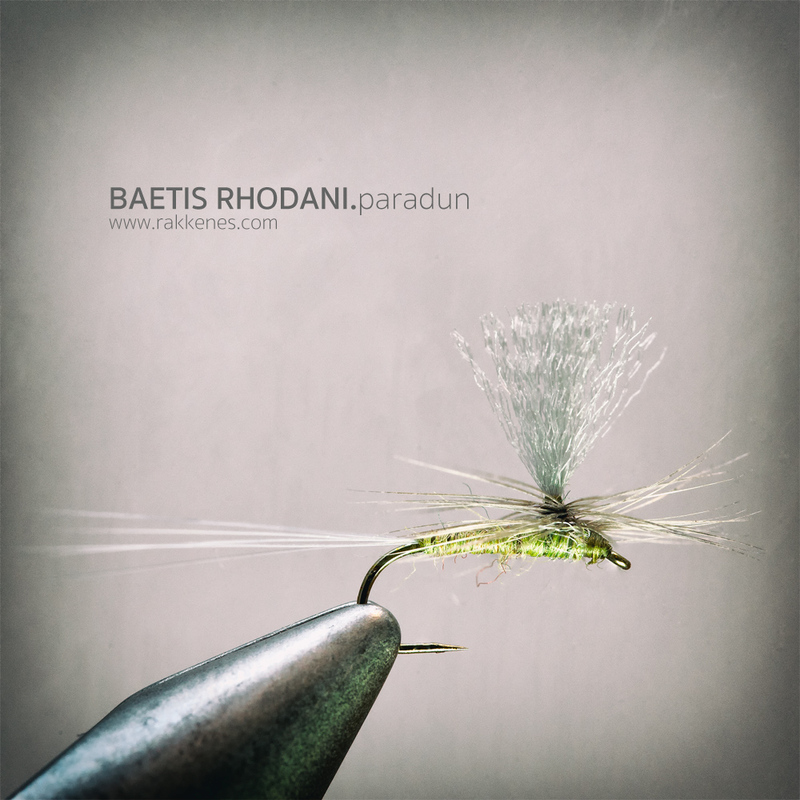 When the Baetis hatch is well under way and the fish clearly is feeding on duns, nothing beats the Baetis Parachute Paradun. Tied this way, with sparse and straight hackle, the fly rides low and gives a convincing print in the water. You might replace the fibettes with Coq de Leon and the poly wing with CdC feathers. The the choice is really not important. Although I love this pattern, I always bring a comparadun and extended body variants in my fly box. Taper the body like a cigar. Pay attention to the hackle – three or four turns is plenty. Make sure it is as straight as possible to create a clear body profile to the dry fly. This goes as a general advise to all parachutes. 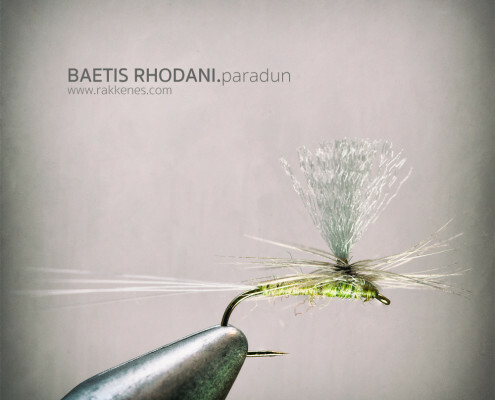 Use a long leader – 12 ft plus tippet. Apply dry floatant, such as the Dry Dip Super from Tiemco.